The Bully Tools Shingle Bully features an all steel construction for superior durability. The extra thick 10 gauge steel head with notched teeth tears up roofing shingles with ease. The QEP 8 in. 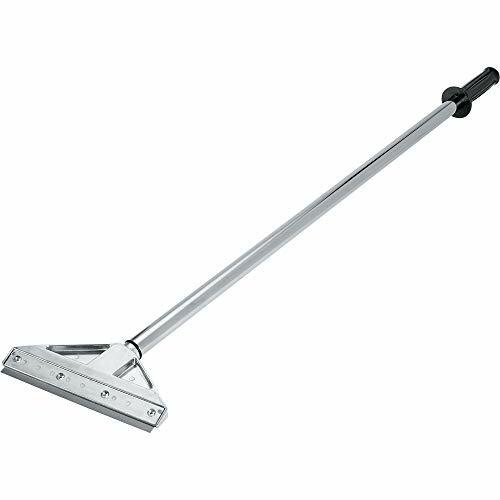 Razor Floor Stripper removes old tile, adhesive, vinyl, carpet and other floor-covering materials. The twist-lock, telescoping handle adjusts from 3 ft. to 6 ft. for a variety of work situations. Constructed of all steel construction which guarantees the toughness needed to perform the application. The teeth / work edge is heat tempered so it can withstand the abuse of the job. Qualcraft industries strip fast shingle remover, general purpose, 27-1/2 in overall height, steel, powder coated, yellow, for tearing off old fiberglass and asphalt shingles. Ergonomic design with vinyl grip handles, rugged steel construction and a hot tempered work edge. Lightweight and versatile. For general purpose shingle use on steeper roofs. D-grip handle for extra heavy duty service and comfort. Ideal for removing fiberglass or asphalt roof shingles. All steel construction for the toughness needed to perform the application. Replaceable, serrated tempered carbon steel blades and skid plates. Weighs less than 6 lbs. Warranty: Qualcraft warrants to the purchaser that all products are free from defect in material and workmanship at the time of shipment. Obligation under this warranty is limited to product replacement for the period of two (2) years from the date of installation or use by the owner, provided that this period shall not exceed two (2) years from date of shipment. 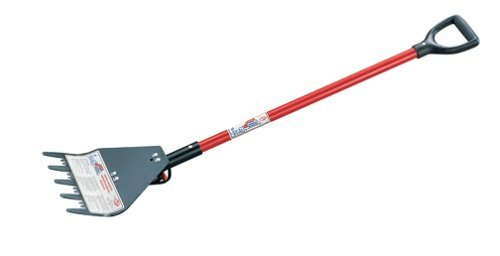 Bon 19-115 Roofer's Tear Off Spade - Serrated teeth to grip nails - Heavy duty fixed fulcrum for leverage - Professional's choice. Lightweight and versatile. Rugged all-steel construction with heat tempered work edge. Ergonomically designed to reduce worker fatigue. For use with most roof pitches. Leverage applied by the offset steel handle's design reduces the force needed to lift and remove shingles. The Bully Tools ProShingle features extra thick 10 gauge steel that powers through roofing tiles. The triple wall fiberglass handle resists breaking while still being lightweight and easy to handle. The Dgrips have been redesigned for superior comfort and durability. Made with a special no-break Polypropylene co-polymer, you won't find a stronger dgrip! Watch our video to see it crush a cement block! 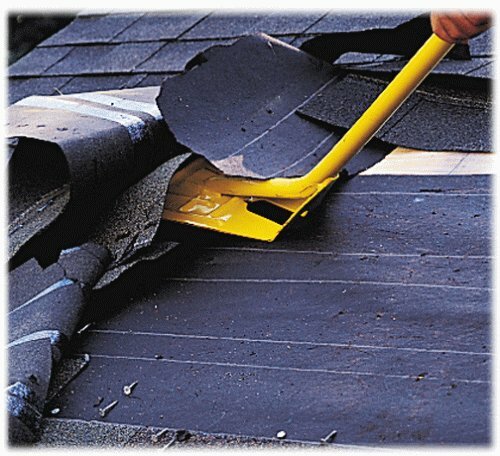 The shingle stripper's innovative wedge design works great on removing nails and shingles from multi-layered roofs as well as plank roofs. 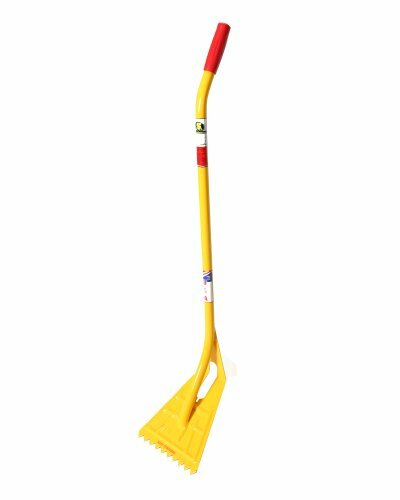 Truper 33129, SHR-1F, Tru Pro Asphalt Shingle Remover, Fiberglass D-Handle, 37-Inch. 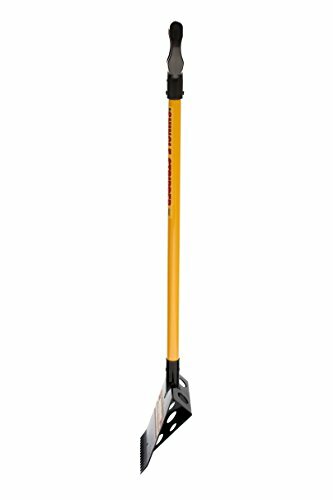 41-inch Pro Grade fiberglass handle with D-Handle grip for balance and control. Protective sleeve on handle prevents splintering. Head angle gives leverage to pry up old material. Use what the pro's use for easy shingle removal. Tru Pro, "The Contractors Choice" for professional use. Truper has been in the hand tool manufacturing business for over 40-year and is by far the largest Mexican company in its field. Truper relies on the most advanced modern and efficient technology to guarantee the optimum quality and value of its products and demanding service needs of the company's global customers. Tru Pro is a premium line true to the specs of contractor-grade tools. The unit is also geared at the consumer who wishes to step up to high-end tools. Best Value at the top end of the market. Tru-Pro products features the heaviest gauge heads available, tab sockets or steel collars, along with a select choice of white ashwood handles for the optimum ratio of resistance and flexibility. Lifetime warranty backs all Tru-pro tools. Warranty: Truper TRU-PRO tools are backed by lifetime replacement warranty. 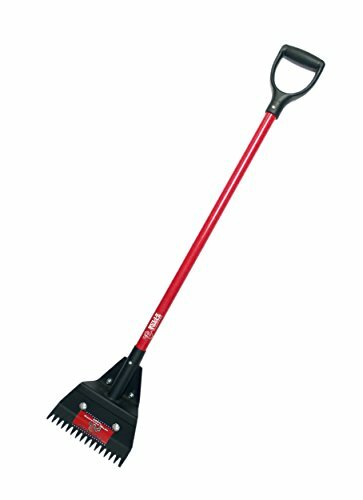 Ergonomically efficient, with a patented tool head design and lightweight ash handle, red-ripper improves productivity by up to 30% and helps reduce user fatigue. 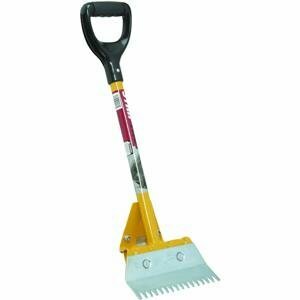 Shovel is made from reinforced and heat treated carbon steel . Durability of the bracket compared to conventional roof brackets endura bracket roof brackets are bench tested to support 2000 lbs of load. 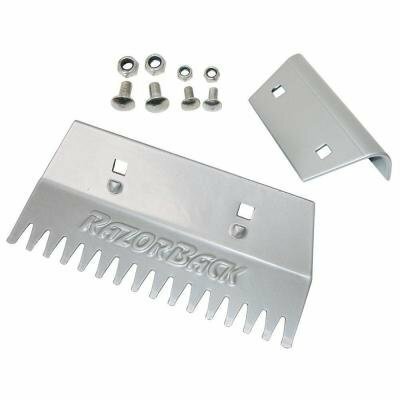 The Replacement Blade for the Razor-Back Shingle Remover can be used to keep your tool working effectively. The blade can be easily inserted into it's original position allowing you to complete your work. Brand: Razor-Back | Manufacturer: The Ames Companies, Inc.